Britain deployed four Tornado GR4s which were launched from RAF Akrotiri in Cyprus for the attack and loaded with 'bunker busting' Storm Shadow cruise missiles. With a maximum speed of Mach 1.3 and capable of carrying more than eight tonnes of weapons, the GR4 is the latest phase in the evolution of the Tornado – the RAF's strike aircraft of choice for the last three decades. 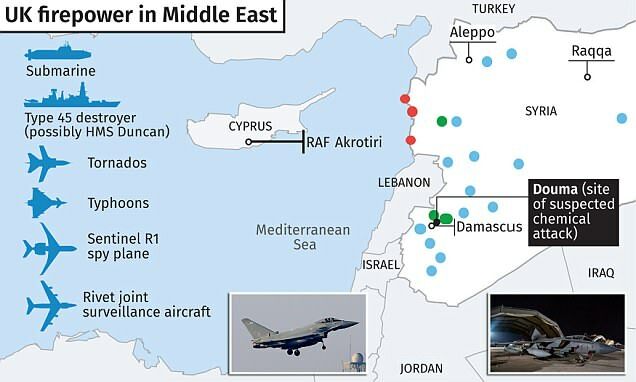 The Syrian regime and its ally Russia have sophisticated air defences so if the RAF Tornados flew directly over their target they would be in danger. Which is why they used their Storm Shadow cruise missiles, 'fire and forget' weapons which can be pre-programmed to hit their targets. The Americans deployed their B-1B Lancer bombers for the strike while France used Mirage and Rafale fighter jets. The actress took to her instagram page to share the news. According to the lady, her mum found out about her dad’s affair and shared it with her, as she now understood why her monthly allowance reduced. Nollywood actress, Ireti Osayemi’s marriage to former Super Story production manager and later associate producer, Bakare Adeoye, which produced two kids, has reportedly crashed. Though this wasn’t Bakare’s first marriage (he is said to have been previously married with children to show for it) his legal marriage to Ireti was almost heaven-on-earth. But then, the marriage has crashed. 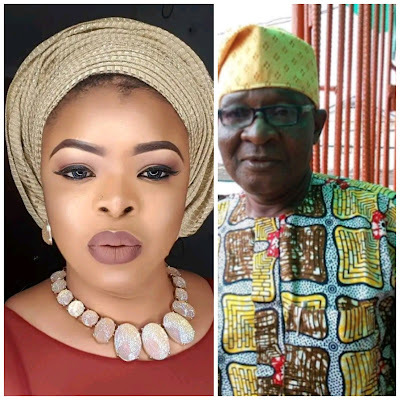 The Popular actress, Ireti Osayemi, who was alleged by some people to have snatched another woman's husband who was pregnant at that time, some years ago. The Nollywood Actress shared some lovely photos on her social media page to mark her birthday. Nollywood actress, Mide martins has just shared some photos for her birthday today! She flaunted her alluring beauty and baby bump. The pregnant wife of movie producer, Afeez Owo who just returned from a vacation in January, offered her thanks to God for adding another year to her. A Lagos businessman identified as Ekene Onyeagu, has been murdered by his brother. the deceased was hacked to death by his blood brother, Ejimkoye Onyeagu, at their hometown, Ifitedunu, Anambra State. The murder which happened yesterday was due to an issue they both had over a piece of land. The killer Ejimkoye is currently on the run. He is said to be a trader at Alaba international market, Ojo, Lagos. 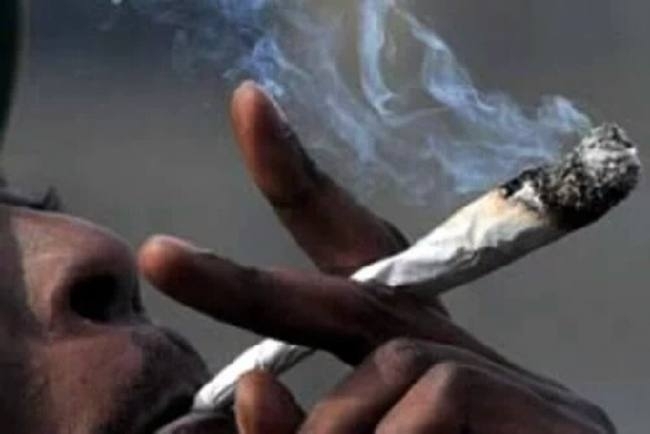 A 25-year-old professional driver, Ihenacho Chizoba, now in police net, has confessed that he went into illicit business of kidnapping out of frustration occasioned by the economic recession in the country. Chizoba, an indigene of Umuaram, Obowo council area of Imo State said that as an experienced driver, he made a lot of money, which enabled him to live comfortably.He, however, regretted that his driving business later suffered a setback following the prevailing economic downturn in the country. Actress Genevieve Nnaji showed off her impressive shaku-shaku dance skills. The beautiful actress who is in New York city performed the viral dance on the streets..
A young man in Akwa Ibom has been nabbed for killing his mother. 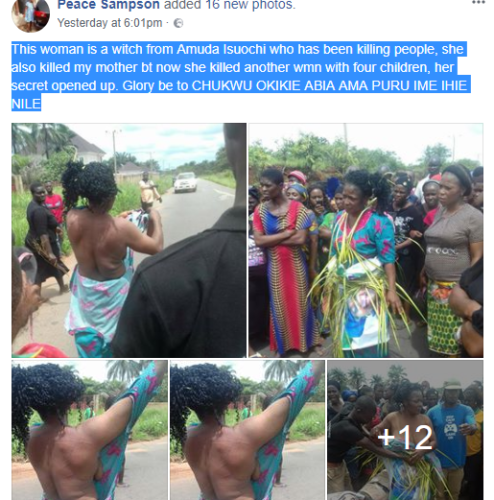 The said man reportedly beat his mother to death in Nsit Ubium community of Akwa Ibom State. upon his arrest, the suspect confessed saying a Prophet revealed to him that his mother was a witch. He continued saying his mum was behind all the difficulty he has experienced in life. Presidential hopeful, activist and publisher of Sahara Reporters, Omoyele Sowore earlier today was at the palace of the Emir of Kano to brief him on his bid to contest for Presidency in 2019. Super Star and Marvin Act, Korede Bello shared the below photo with the caption " was listening to #WorkIt by Korede Bello ��� #Godwin �"
The National Leader of the All Progressives Congress (APC), Asiwaju Bola Ahmed Tinubu has once again dispelled the rumours surrounding his relationship with former Lagos State Governor, Babatunde Fashola. The APC leader, Tinubu and Honourable Minister for works, Power and Housing Babatunde Raji Fashola, were spotted together at Aremo Olusegun Osoba daughter's wedding / Engagement in Lagos earlier today as they interacted and chatted at the ceremony where these photographs were taken and it sure seems like all is well between them. The duo had been consistently rumoured to be at loggerheads with each other, reports which they have continued to refute. April 12th marks another marriage milestone for the Lawsons who are celebrating three years of wedded bliss. 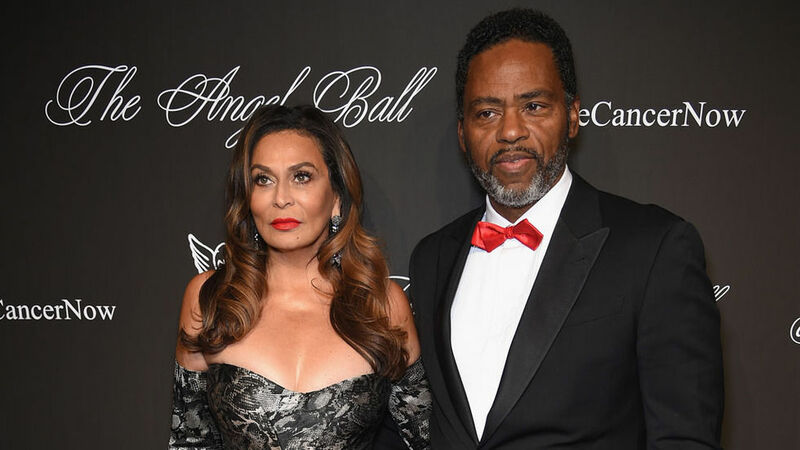 As her fans know, Tina Knowles-Lawson loves to share the love on Instagram, and so of course, that's where she posted an anniversary wish for her husband, actor Richard Lawson. "Cannot believe it has been 3 years since we did the damn thing !!!! Walking on air," she wrote. "I love you with my whole being and you feed my soul. Happy Anniversary Baby," she shared on Instagram. A single mom of five has gone viral after graduating from Law School. All of the success Iesha is experiencing has come after a series of unfortunate circumstances. As a single mother, I know first hand that nothing else has pushed me to become a better person than my son! It’s something about a mother’s love for her children that drives her to do the impossible! Five operatives attached to Special Anti- Robbery Squad (SARS) were arrested over alleged robbery attempt on one Mr Immanuel James, at Ago-Palace way, Okota, a Lagos suburb. 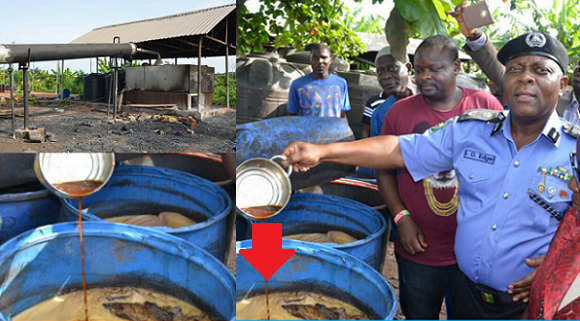 The Lagos State Police Command says it has uncovered an illegal brewery at Egbe-Afa in Igbogbo area of Ikorodu, Lagos State, while five suspects have been arrested. Edgal Imohimi, Lagos State Commissioner of Police, made this known to journalists at the scene on Wednesday. The News Agency of Nigeria (NAN) reports that the illegal brewery was producing malt drinks, stout and ethanol which they pumped into trucks to bottle at another location. Mr Imohimi said that the suspects would be subjected to further interrogation to know where the drinks were bottled and sold. He said that the illegal brewery would be sealed and samples of the drinks would be sent to the laboratory for test. 63min: Well, I didn't think I would need to explain this around an hour ago but as it stands we are heading for extra time and possibly penalties. 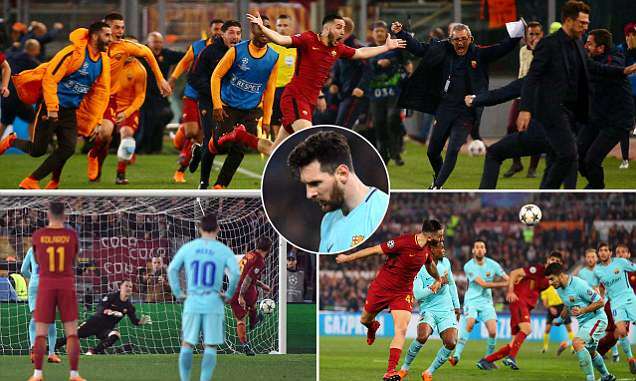 By the way if Juventus score again, and who would be foolish enough to rule that out now, then Madrid would need two to cancel out the away goal. Donald Trump (main) today used Twitter to warn that a missile attack on Syria is imminent - hours after the Kremlin vowed to shoot down any rockets, fired at the Assad regime in retaliation for last week's gas atrocity. The US President tweeted: 'Russia vows to shoot down any and all missiles fired at Syria. Get ready Russia, because they will be coming, nice and new and "smart!" You shouldn't be partners with a Gas Killing Animal who kills his people and enjoys it!' 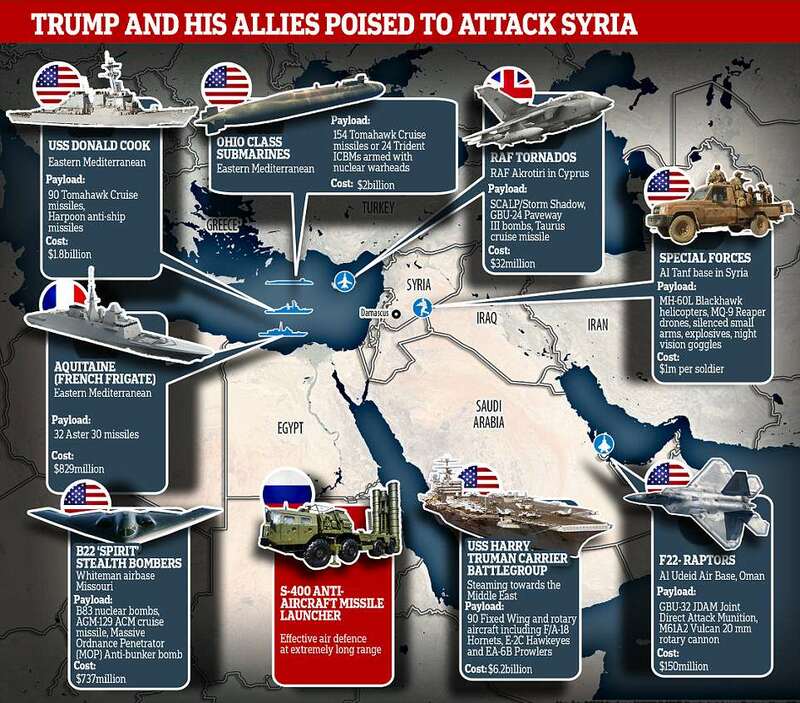 His threat came hours after Moscow's ambassador to Lebanon, Alexander Zasypkin, said any US missiles fired at Syria would be shot down by Russia and the launch sites targeted. PDP Presidential aspirant, the inestimable leader of the talakawas Dr. Sule Lamido CON, visited the former military head of state General Ibrahim Badamasi Babangida at his hilltop residence in Minna.He has been consulting prominent Nigerians in a bid to contest 2019 president under the platform of PDP. He was accorded warm reception on arrival and prayer of goodwill on his aspiration. A newborn baby has miraculously survived after being abandoned in a storm drain thanks to a sausage dog that alerted his owner. Charmaine Keevy was shocked when she found the child lying naked in Port Elizabeth, South Africa, after her pet Georgie started barking at the location on April 3. At first the 63-year-old thought it was a cat but after getting closer she realised it was a baby girl crying. Ms Keevy then frantically flagged down Cornie Viljoen’s passing car and together they managed to open the drain’s concrete cover with a steel bar. Mr Viljoen, 60, was the one who entered the drain, which is six feet deep, to retrieve the baby. President Donald Trump issued a vague threat on Twitter on Sunday, after reports of a chemical attack in Syria. Nigerian star boy, Wizkid has revealed how he ended the rivalry between himself and his one time sworn enemy, Davido. During an interview with Hiptv, Wizkid was able to shed more light on the given circumstances surrounding Davido’s performance at his concert. The duo is reported to have gone to Ibeno Beach where they attended a friend's birthday party on Sunday before their tragic deaths. 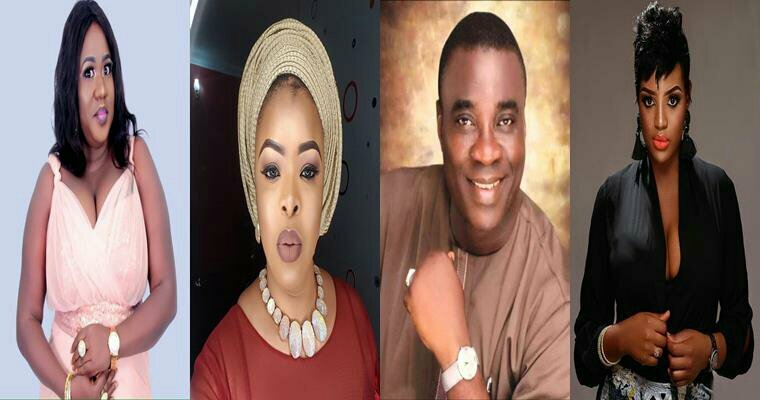 According to reports, Ubong Ekpe who was married with four lovely children was until his sudden death the Manager of Skye Bank Abak Road, branch, Uyo.